Back from motivational summer camp organized by Yamaha for their riders, Round 7 of the PETRONAS AAM Malaysian Cub Prix Championship in Kluang, Johor saw a more rejuvenated batch of racers for the Timed Practice session. For the CP130 class, Mohd Taufiq Roslan became Yamaha’s fastest rider with a recorded time of 47.910s in seventh placing just behind Norizman Ismail and PETRONAS Syntium Moto Yamaha Raceline rider, Mohd Zamri Baba logged in ninth fastest with 48.210s. Fastest for the day was Azlan Shah Kamaruzaman with 47.910s followed by Ahmad Fuad Baharudin and Affendi Rosli with 47.566s and 47.659s respectively. The competition fared better for the Yamaha camp in the CP115 category as Shariffudin Shamsuddin of CKJ Yamaha Racing gave a blow to the class by being the fastest rider when he recorded the best time for this session at 48.362s. Following his footsteps, Motul Yamaha YY Pang Racing rider Mohd Adib Rosley set the third fastest (48.476s) while Sharifuddin’s partner, Ahmad Afif Amran set a time of 48.675s in fourth. Also in top five were Adib’s teammate, Mohd Adli Salihin with his time of 48.766s. In the Wira category, four out of five fastest riders were of the Yamaha camp, setting the record straight for Sunday’s final. 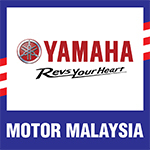 Tengku Amirul Haffiruddin (Motul Yamaha YY Pang Racing) was the fastest for Yamaha with his time of 48.176s settling himself in second spot on the grids followed by chart leader Mohd Hafiz Nor Azman (Mos Track Pro Yamaha Racing) in third at 48.271s while Tengku Amirul’s comrade Mohd Izzat Zaidi Mohd Salehan was in fifth (49.336s). 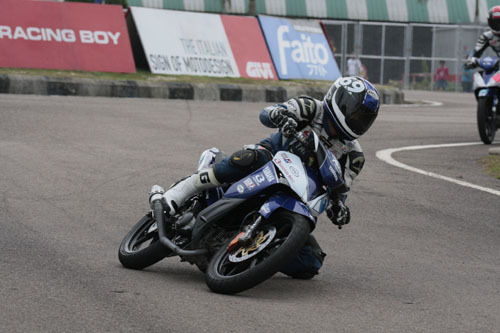 Fakhrusy Syakirin Rostam was the session’s fastest rider securing first grid position in the finals.